Our Services – THG Companies, LLC. Whenever you have a need for drywall work, you can rely on the technical expertise and experience of THG Companies. THG handles drywall installations on both traditional wooden studs and metal studs. All our installers are trained, licensed, and insured professionals. For drywall repairs, new constructions, and other projects, you won’t find a more dedicated company than THG. Whether you want to get rid of the dated popcorn texture look or you are looking to remove huge swaths of wallpaper, we do it all. From minor stress crack repair to new construction, our tapers and drywall finishers are able to quickly and cleanly repair any imperfection. We specialize in custom texture matching and wall refinishing. THG provides construction management services for public, private and public-private clients. Services include developing a program; creating and evaluating project budgets and schedules; negotiating and entering into contracts with professional service firms; working closely with architect and engineering firms to ensure quality construction documents; managing the permit and approval process; developing cost accounting and reporting strategies; coordination of temporary and permanent utilities; and monitoring and coordinating daily construction and close-out activities. THG’s management brings over two decades of experience in infrastructure, planning, development, acquisitions and financing of commercial and residential real estate. Our firm prides itself on developing mixed income communities—in the inner core of urban neighborhoods—throughout the Baltimore Metro Region. With our construction expertise, THG is continuously seeking more opportunities to expand our real estate portfolio. We have experience partnering with local municipalities to create thriving neighborhood redevelopment projects. THG facilitates thoughtful real estate acquisitions and developments that can leverage the institutional power of the buyer for the benefit of the community. We seek real estate advisory opportunities as a way to create healthy places, stimulate economic revitalization, and support the local housing market. THG is a leading provider of residential and commercial flooring materials, expert installation and cutting edge maintenance and design consultation services to consumers and businesses throughout the Mid – Atlantic region. THG has participated in flooring projects on some of the most prestigious sites in the Baltimore Metro Region. Material and Installation of carpet, resilient vinyl, ceramic, natural stone, hardwood, green, granite, and glass tile on flooring, walls and countertops. Our installation teams get regular training on best practices for installation, job safety, and customer care to ensure that your project runs on time and in budget. They are on time, they clean up after every job, and work hard to do things right the first time. As part of our commercial services, we offer drywall and metal stud framing for tenant improvement buildouts. We also offer installation of acoustical ceilings that have sound-dampening effects and we can handle drywall installations on metal stud framing. Professional installation. THG prides itself on providing the top acoustical ceilings in Baltimore and the region. From standard acoustic drop ceilings to more elaborate installations, we install all types of suspended ceilings with the highest level of expertise. Stylish and functional. Aside from tamping down on unwanted noise, acoustical and drop ceilings offer a beautiful look that can also help to hide pipes, wires, and other unattractive fixtures. Custom designed to your specifications. Our acoustic ceilings are created to match your unique design criteria. With a variety of ceiling products to choose from, you’ll get a one-of-a-kind look that’s just right. The construction professionals at THG do it all, starting with metal framing. Our experienced experts can handle both interior and exterior steel framing for commercial and government structures. By using only the finest materials installed by the most knowledgeable contractors, we’re able to construct high-quality walls that are built to last. THG offers access to the largest inventory of construction supplies in Baltimore and throughout the mid-Atlantic region. Whether you need drywall, insulation, acoustical tile or construction accessories, we’ve got your jobsite needs covered. We source our products from only the most reputable brands in the industry, including manufacturers like USG, National Gypsum, Marino/Ware, Phillips Manufacturing, The Steel Network, Knauf, Thermafiber, and DeWalt. THG proudly offers general contracting services for clients in Baltimore and in the wider Mid-Atlantic region. From beginning to end, you can count on the team of in-house project managers at THG to manage every part of your construction project. We make certain-down to the smallest detail-that we meet the highest standards in all aspects of the job. At THG, we believe that quality office buildings play a part in helping a business achieve its full operational potential. We also believe in maintaining sustainability throughout the life of a building. For commercial and government clients, we offer construction, build outs, tenant improvements, maintenance, retail remodeling, finish-outs, build-to-suit services for retail, office, residential, and other spaces. 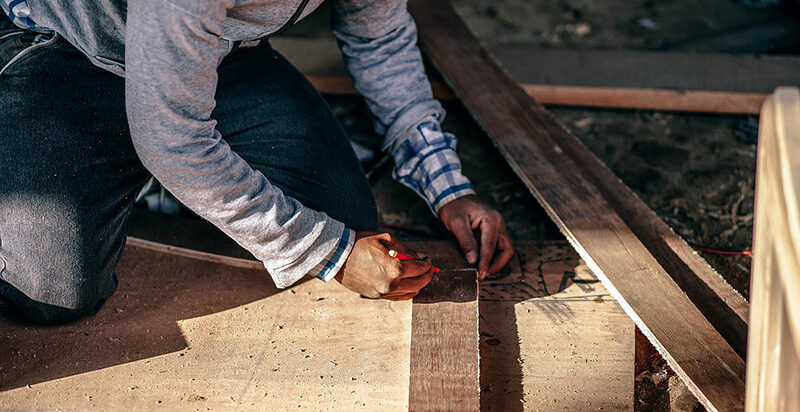 As a full service general contractor, we take the role you need us to take on your project. If you have a set of plans, we can review them. We will work with you to develop the budget necessary for construction. If your project is in its early stages, we have worked with numerous architectural firms and can help you find one with suitable experience for your project. Our entire crew is long-term, experienced THG employees, enabling us to complete projects on time and on budget. Top-class commercial construction services in Baltimore and beyond. Fill out the form and get your free, no-obligation quote from THG. We'll get back to you within one business day to discuss your project.